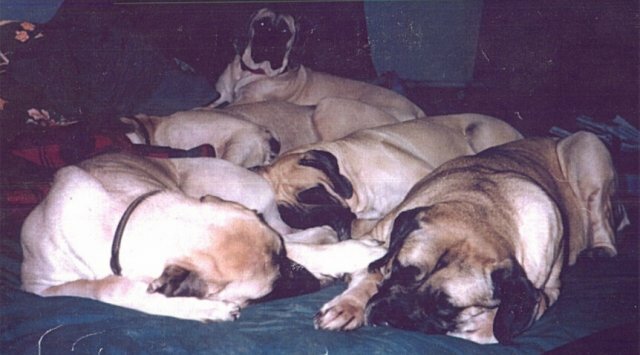 All the mastiffs in the household are exactly that....members of the household. While we're not so democratic as to vote on matters, nearly all decisions are put to the question: Will this be good for the dogs? All of our Mastiffs train for AKC titles and most earn them. The guys who like to show, earn conformation titles; those who excel in obedience, earn obedience titles; one special boy indicates a love for therapy and is in training for a TDI title; one Agility candidate took time out from the jumps to have a litter.